cold like the night, and almost emotionless. She dont often have "feelings" like anger or happiness, though her youth were mostly made of sadness and loneliness. She dont really remind of the reason her parents left her but the loneliness from the lack of them made her a sad child in her early years. As a teenage, she was often rejected cause of her dark-looking fashion and wasnt pretty talkative. Today, she's a free spirit living her life with nature and sharing free love to anyone she feel good with. 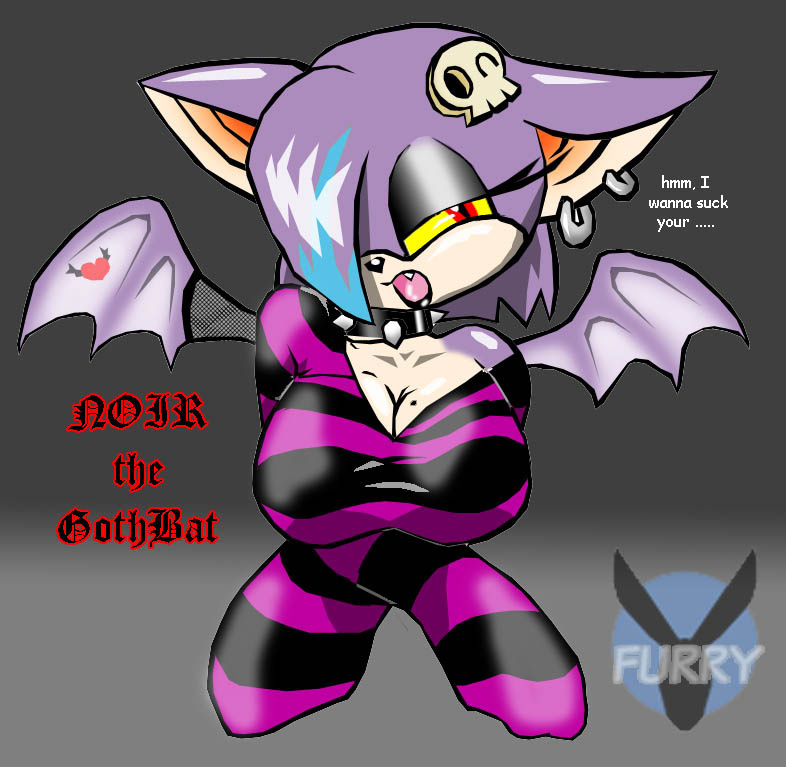 She's said to be Rouge (the bat) and Shadow (the hedgehog) 's secret daughter. Her best friend is a wolfgirl called Lupus. Somehow, after experiencing many "free love" adventures, she developped some strange "vamp" ability that made her chest grow anytime she feed on "juices". ...what do yu mean ? Elle est très belle comme sonic OC *u* je l'adore !